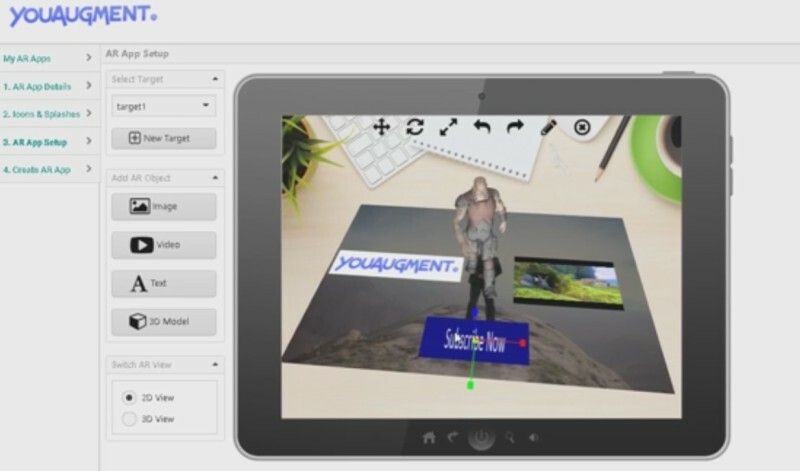 YouAugment is a web-based tool that allows users with minimal coding skills to develop augmented reality applications. The app creator was made using BabylonJS 3D engine and Artoolkit. The web-enabled application features a simple interface with options for customizing images, video, text, and 3D models. Once you’re done editing, fill in the app details like the title and then generate the app. The process will be done in a few minutes. Start creating your own AR app here.